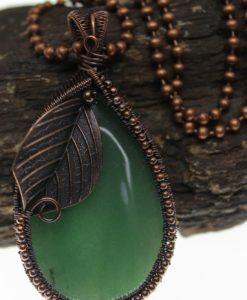 The inspiration for this pendant came from spring, and the changes it brings to our surroundings. 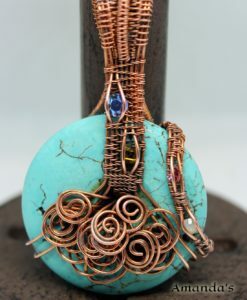 After a cold winter the promise of lots of sunshine and new life beckons. 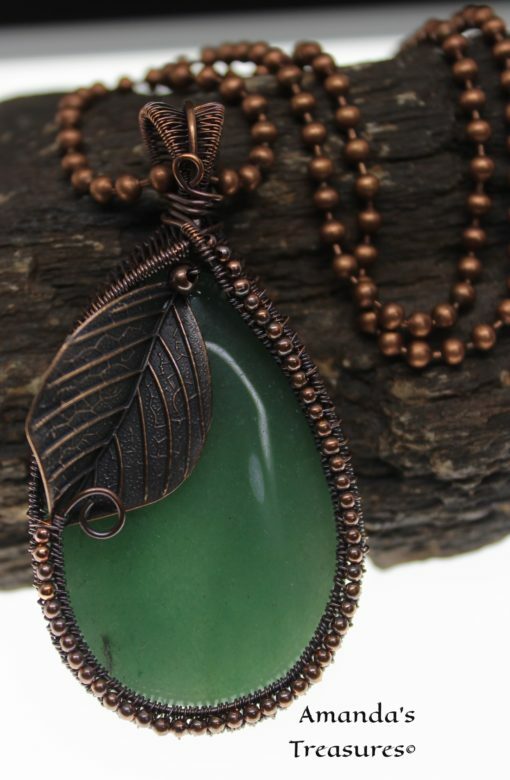 Aventurine contains particles of mica formed from a special kind of quartz making the stone glisten under the sun. 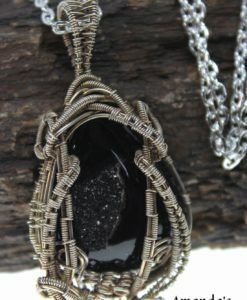 It is also believed to bring luck, prosperity, and wellness. 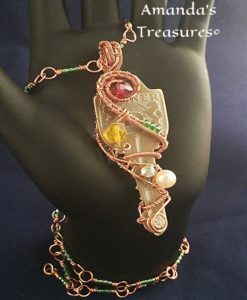 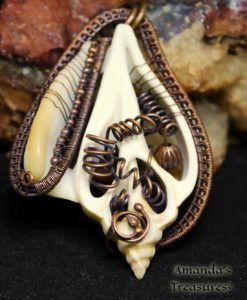 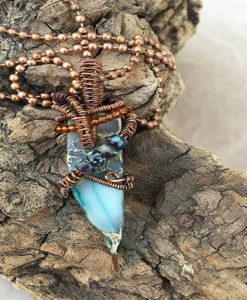 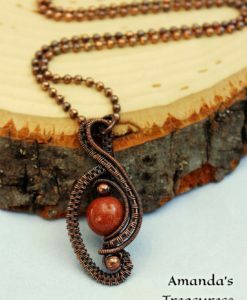 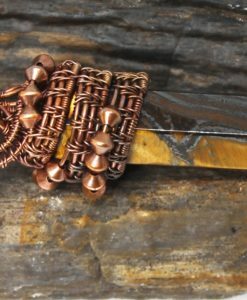 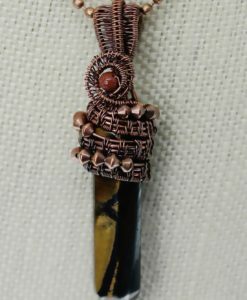 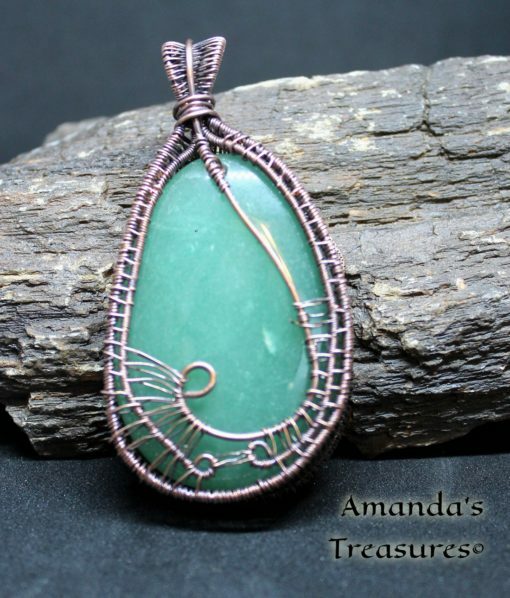 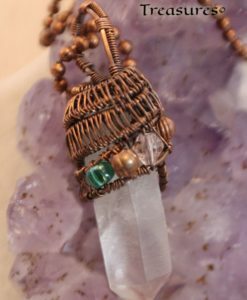 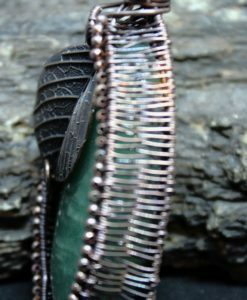 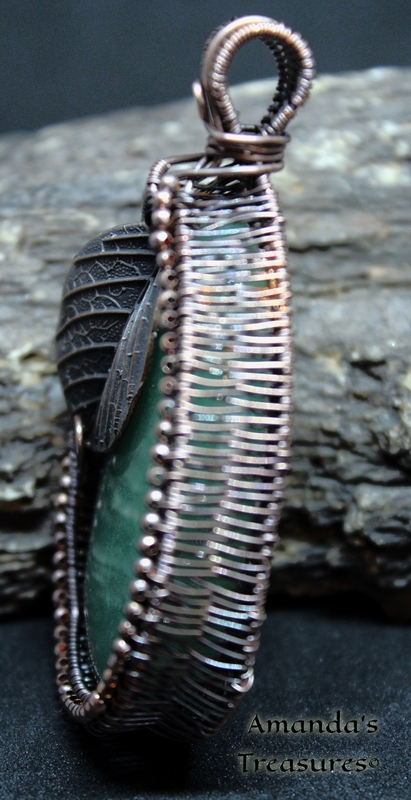 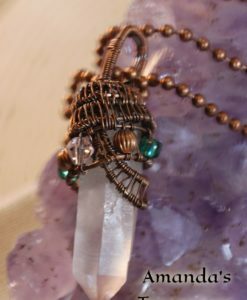 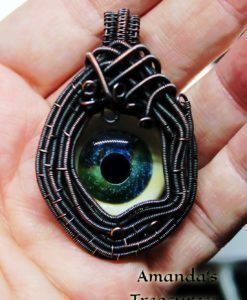 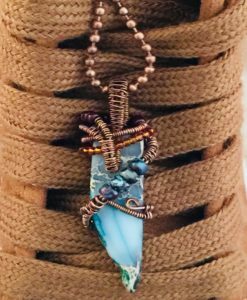 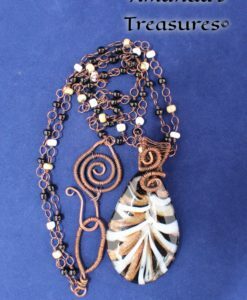 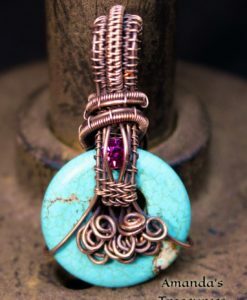 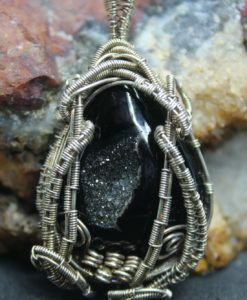 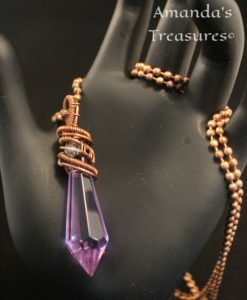 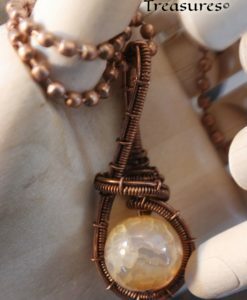 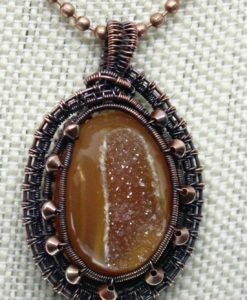 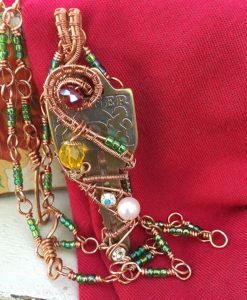 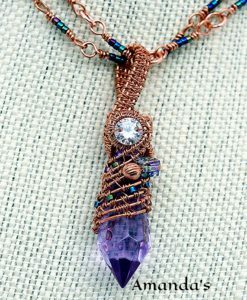 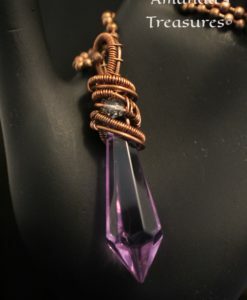 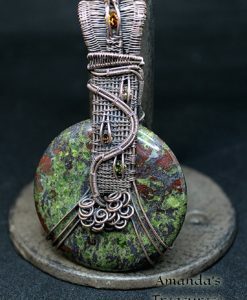 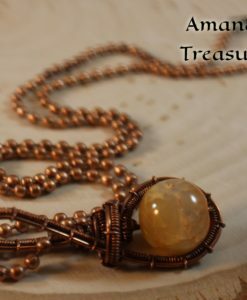 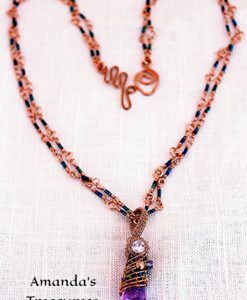 One copper coated leaf and many tiny copper beads are wrapped into the frame of the pendant. 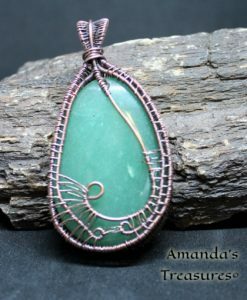 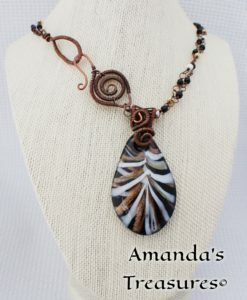 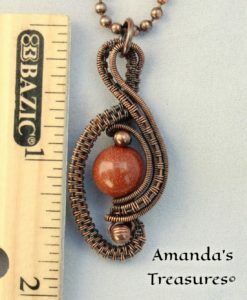 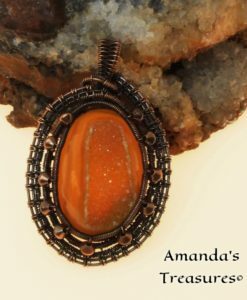 Handcrafted with love and dedication by Amanda’s Treasures.